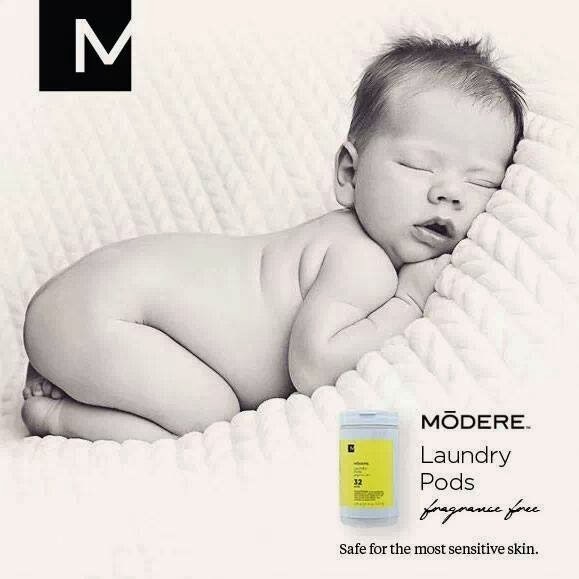 Safe enough for even the most sensitive skin, more effective and less expensive than the leading brands (including Dreft), Modere Fragrance Free Laundry Pods will leave your clothes as soft as a baby's behind. Laundry Detergent Pods by Modere give you three products in one: naturally-derived ingredients to effectively and thoroughly clean your clothes, stain boosters to remove tough stains and brighten clothes, and a fragrance-free formula to enhance softness and freshen clothes. Works with both HE and standard machines. Use only what you need with pre-measured pods. Eliminate waste and save money. Use the link www.modere.com and receive 10% off your entire order!